Some 48 hours after the detection of mail bombs addressed to former President Barack Obama, former Democratic presidential candidate Hillary Clinton, and other leading Democrats and critics of President Trump, there has been little new information made public. Thursday’s police and FBI briefings confirmed what has been widely reported in the media: a total of ten packages were put in the mail to eight individuals, including two packages each to former Vice President Joe Biden and Congresswoman Maxine Waters, and one each to Obama, Clinton, former CIA Director John Brennan, former Attorney General Eric Holder, billionaire George Soros and actor Robert De Niro. 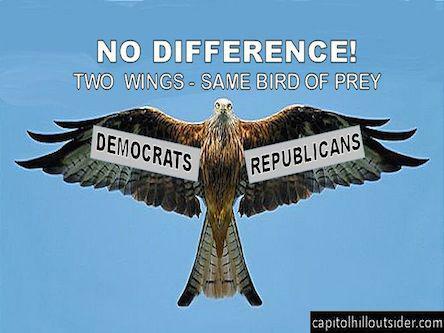 The ten packages were nearly identical, all carrying the same return address, that of Florida Congresswoman Debbie Wasserman Schultz, the former chairwoman of the Democratic National Committee. Unconfirmed media reports Thursday suggest that the packages may have been mailed from south Florida, where Schultz is the most prominent local Democrat. Each package contained the same type of crudely constructed pipe bomb, sometimes accompanied by an envelope of white powder, apparently harmless. The FBI has released no details on the triggering mechanism, except the obvious: there was no tripwire to detonate the bomb when the package was opened, as several were. FBI officials suggested that the proper term for the packages was “suspected explosive devices,” since they were unwilling to divulge whether the bombs were even capable of exploding and, therefore, whether there was any actual danger to the public. 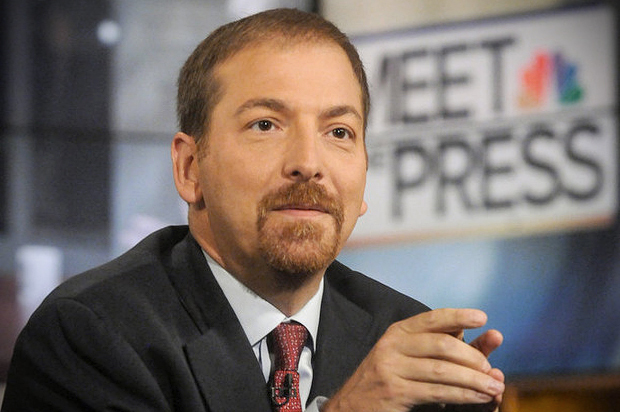 Chuck Todd, moderator for NBC’s “Meet the Press,” can be relied on to disseminate Democrat party messages. This lack of information has not stopped the Democratic Party and the pro-Democratic sections of the corporate media from describing the mailings as a “mass attempted assassination” targeting “two former presidents,” even though the packages addressed to Obama and Clinton were easily detected by Secret Service screeners and never came within miles of the intended targets. This strange and murky event inevitably gives rise to many suspicions, all of them presently unprovable. Were the packages sent by a Trump supporter responding to the president’s vicious rhetoric and incitements to violence? All of those targeted by bombs were previously targets of Trump tweets and diatribes at his campaign rallies, which included, for many of them, threats of prosecution, imprisonment or vigilante violence. Or, given that no Democrat was ever in danger, and that the Democratic Party has seized on the mail bomb attack to denounce Trump and boost its electoral position less than two weeks before the midterm election, were the packages a “false flag” operation? Trump’s right-wing media supporters were quick to float that suggestion, and certainly the military-intelligence apparatus which has been allied to the Democrats in the anti-Russia campaign against Trump is fully capable of carrying out such a provocation. The World Socialist Web Site possesses no independent evidence, and one must be skeptical of all claims. Nothing can be believed simply because CNN, the FBI or the New York Police Department assert it, any more than the statements emanating from the White House or Trump’s Twitter account can be taken as good coin. This is not the first time that the corporate media has sought to stampede public opinion with a scare campaign about terrorist attacks through the mail. We’ve been down that road before, most notably in the anthrax scare in the fall of 2001, when a half dozen people were killed. Then, the Bush administration and much of the media sought to pin the blame on Iraq, as part of the campaign to prepare public opinion for the long-planned US invasion and occupation of that country. The anthrax, mailed mainly to leading Democrats, was eventually determined to have come from a US Army germ warfare facility, under conditions that have never been properly explained. What can be said is that the mail bombs take place under conditions of a raging political conflict within the US ruling elite. The timing of the suspected mail bombs and the consequent media uproar is remarkable. Less than two weeks before the election, all other issues have been virtually banished from public attention: Trump’s witch-hunt against immigrants, the US complicity with the savage murder of a Saudi dissident by that country’s medieval monarchy, the convulsions rocking the US and world financial system, the steady worsening of social and economic inequality. A little noted aspect of Wednesday’s lockdown of midtown Manhattan, after the mail bomb was found at CNN, was the first real world activation of the police takeover of the cellphone system, with a text alert blasted out to anyone located (based on their cellphone GPS) within a certain radius of the Time Warner headquarters building. The National Wireless Emergency Alert System was first tested exactly three weeks before, on October 3. The massive mobilization of local, state and federal police, as well as the intelligence agencies, and the all-out hysteria in the media, raise the following question: if such an incident took place on the eve of the election, or on Election Day itself, would the Trump administration invoke emergency powers to postpone voting in certain areas, or entire states, or even cancel the election altogether? And would the Democratic Party and the corporate media rally around the White House? Earlier this year, Trump pushed hard to get congressional approval for a full-scale military parade in Washington DC, which would have brought tanks and armored cars onto the streets of the US capital only a few days after the election. In the event, even congressional Republicans and the military brass were concerned that such a display would provoke popular opposition, and blocked it. The trajectory of these events is ominous. The US election itself takes place under conditions of what could be described as the “Latin Americanization” of American politics, characterized by the extreme decay of democratic forms combined with palace intrigues and plotting. Trump has made it a referendum on himself, presenting himself as a personalist, unchallengeable leader, a would-be politico-military strongman, delivering fascistic tirades to adoring audiences, threatening his enemies with destruction. His nominal opponents in the Democratic Party have directed all opposition behind powerful factions of the military and intelligence apparatus—including figures such as Brennan. They have utilized the anti-Russia campaign to press for a more aggressive foreign policy in the Middle East and against Russia, while demanding ever more overt measures to censor the internet and block all views that “sow divisions” within the country. Both factions of the ruling class rest on extremely narrow social layers. While they wage their internal factional warfare, they are terrified above all by the implications of the deepening crisis of US and world capitalism and the growth of economic inequality on a scale not seen in modern history, which has begun to produce significant expressions of working class discontent and struggle. A few thousand billionaires and multi-millionaires effectively control the entire political life of the country, including the two official parties and the media. All of this produces a political system that is characterized above all by extreme instability. Patrick Martin belongs to the wsws.org editorial team. The publication uses Marxian class analysis. Good article but a little bit of history would have shown that US politics has ever been so, from violence to backbiting to a vituperation that would astonish any Roman Empire senator in the heydays of great Julian or Claudian power and onwards. As long as that is perceived as democratic in the US, little will be achieved by voting or protesting. It is of course on purpose because division guarantees control and the permanent frost of the status quo (or what is now called ‘deep’ rot) of the ‘permanent’ government will promote that through the ‘intelligence’ services and their ugly foster children, the US media. At least we have Trump to lance the boils and get the puss out, which is not a pleasant spectacle to view.